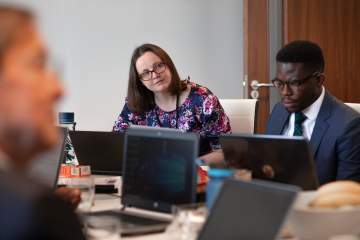 Alice Waltham is in Tanzania delivering training to mini-grid developers and utility regulator on the use of "Excel-based Off Grid Cost of Service and User Charge Analysis Tool". 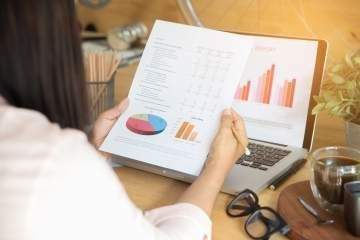 The tool, designed by MRC Group, is designed to be highly flexible to support both policy makers and private developers in setting user charges. 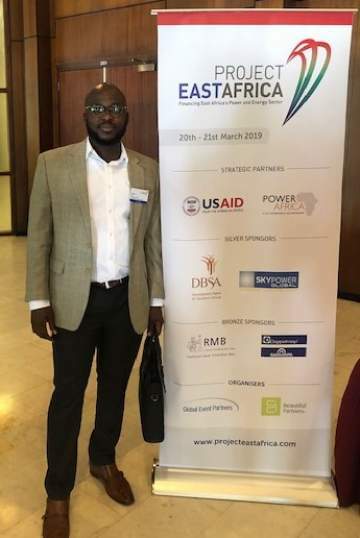 Damilola and Chibueze attended the Project East Africa Conference in Uganda on 20-21st March. This years conference focussed on the financing of power projects and energy infrastructure throughout the East African trade block, as Africa’s most rapidly expanding economy and number one energy investment destination. EMRC attended the Benin Electricity Distribution Company 2019 Retreat Programme. During the retreat we facilitated a session on Global Industry Review and the Outlook for 2019. Participants at the retreat interacted to develop relevant plans for effective business operations in the future. 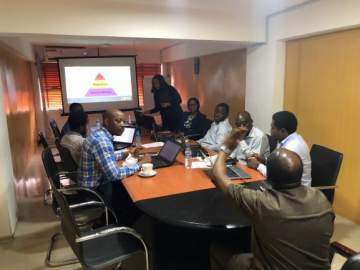 Chibueze Ekeh, Patricia Mong and Damilola Oluwole recently carried out some training with Ibadan and Eko Electricity Distribution Companies. Training included Understanding Regulation, Understanding MYTO and Understanding Grid Augmentation (Embedded Generation and Mini-Grids). 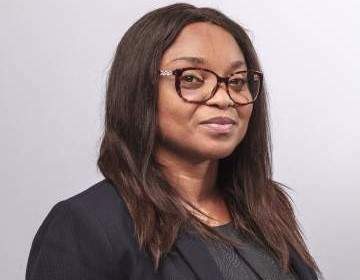 Rahila Thomas featured in an interesting article on leading women in the Nigerian Power Sector. Follow the link to read the full article. 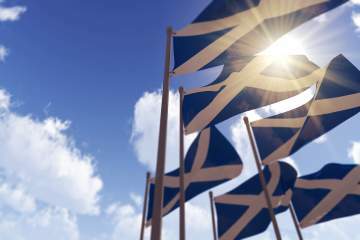 EMRC co-authors a journal paper with the University of Edinburgh on power rationing in a long-term power shortage (Energy Policy). We develop methods to quantify the trade-off between maximising the total amount of power delivered and distributing the available power in a fairer way. 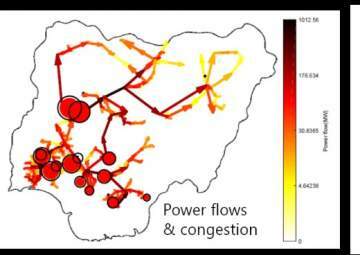 We apply our methods to a case study of the Nigerian Power system and analyse the Pareto frontiers between efficiency and fairness. We show that current Nigerian policies reduce the total amount of power delivered by up to 5%. Please contact louise.thomson@energy-mrc.com for more details. Alice Waltham contributed to the review on Publicy Ownded Energy Company (POEC). Follow this link to access the review. 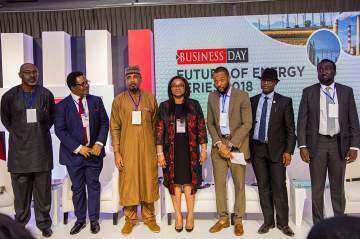 Rahila Thomas attended the second edition of the Business Day Future of Energy series. This series was conceptualised to drive discourse and dialogue on current issues and future trends in Nigeria’s power sector with the aim of proffering recommendations, insights and innovative solutions that will not only unlock growth and investment opportunities in the industry, but also ensure the growth and development of the nation’s economy. 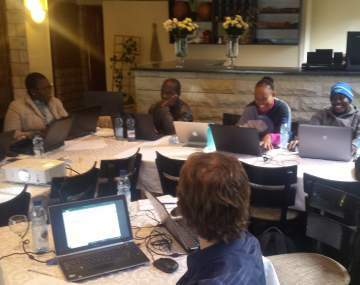 MRC Group were engaged by the Lesotho Electricity and Water Authority (LEWA) to deliver Cost of Service Study Tariff (COSST) model training for LEWA, Lesotho Electricity Corporation (LEC) and the Department of Energy (DoE). The aim of the training was the building of an understanding in users of the COSST model and how to apply it and ensure users learn to operate the model effectively. 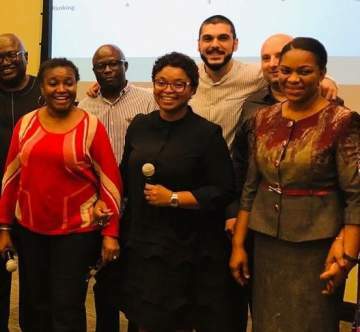 Our training experts assisted appointed LEWA, LEC and DoE trainees to become COSST model experts that will be available as trainers to pass on their knowledge in years to come. Such training is intended to form the foundation for LEWA to undertake the determination of LEC’s tariffs for 2018/19 and beyond. 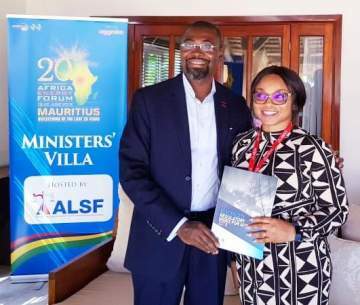 Rahila Thomas recently attended the Africa Energy Forum in Mauritius. The Forum was used as a launch event for the Electricity Regulatory Index (ERI) Report, launched by AfDB. 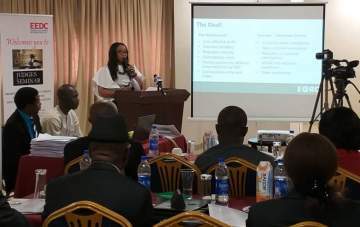 Following on from the Energy Forum, Rahila was invited by AfDB to attend the first Africa Energy Market Place meeting in Abidjan to be part of developing a pathway to address the power situation in five African countries. Rahila Thomas will attend the Energy Africa Forum in Mauritius from 19-22nd June. The Africa Energy Forum (AEF) is the global investment meeting for Africa’s power, energy, infrastructure and industrial sectors. Now in its 20th year, AEF brings together senior decision-makers active in Africa's energy sector to form partnerships, identify opportunities and collectively move the industry forward. AEF has a loyal following of credible players working in the power space, and a track record of delivering a valuable networking experience. Contact rahila.thomas@energy-mrc.com for more details. 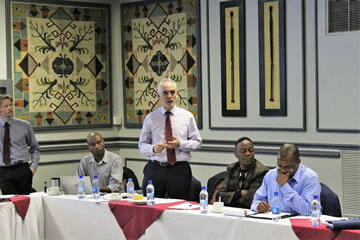 Tom Jardine and Dan Eager were presenting at the final stakeholder workshop in Lesotho as part of the Cost of Service and Tariff Study. The study showed that the recent grid expansion in Lesotho has coincided with reducing average consumption per residential customer. 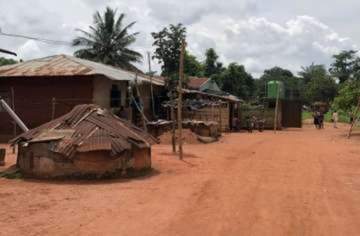 These findings can be used by the regulator to justify the need to develop policies to stimulate Private sector companies to provide off-grid solar PV technology as an alternative cost-effective means to achieve electrification. The team from EMRC in Abuja and Edinburgh met in Edinburgh in May. During the 3 day event the team participated in training sessions and discussed future strategy for EMRC. The meeting was an ideal opportunity for both teams to share their views on the future direction of the company and also to enjoy some social time together! 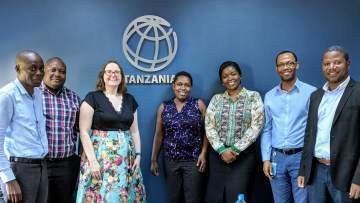 MRC has recently been appointed to develop a conceptual framework and decision-making tool for designing user charges for off-grid energy solutions and determining appropriate subsidization/incentive in Tanzania. 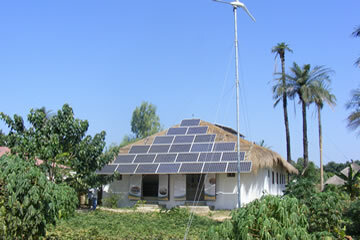 It is designed to support policy makers and regulators in creating a level playing field for services supplied by off-grid solutions vs. the central grid, thereby supporting the broader objective of scaling up energy access in Tanzania. The main change from the draft regulation is the introduction of a Metering Service Charge, which is a payment made by a customer provided with a MAP meter to cover the cost of metering services. This charge is separate from the MYTO retail tariff. This way of ring-fencing the charges associated with the MAP scheme may be beneficial but for Discos to take advantage of this there are several actions that must be undertaken. For a copy of the report contact us.